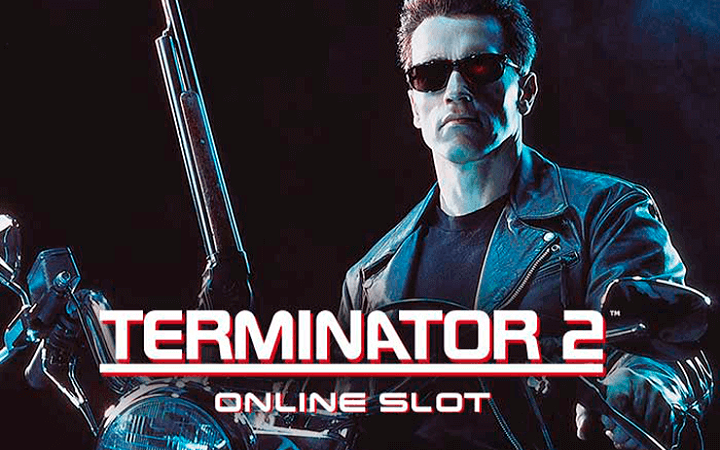 If you are a fan of Terminator movies, we have good news: Arnold is also back in Terminator 2 casino slot game. Microgaming online slots are known for its adaptations of successful blockbusters, and it doesn’t get any more blockbuster than the Terminator series. The game uses real still-shots of the movie and also includes short clips. In other words, it looks good. Terminator 2 online slot game by Microgaming is also filled with features, such as 2 bonus rounds and a jackpot of 2.950 times your stake. The game consists of 5 reels, 3 slots and 243 pay lines. As we mentioned above, the high-valued symbols of the game consist of still-shots of the movie. These are portraits of the characters, such as T-800, Sarah Connor, John Connor and T-1000 – the whole gang is here. There are also low-valued number and letter symbols too. There is a special feature called “T-800 vision”, which can get activated anytime during the game. When this happens, the whole screen turns into red (eyes of the T-800) and the payout values of all symbols increase. The legendary logo of “T2” is used for the wild symbol. It substitutes all other symbols, except scatter. Scatter symbol is shown with a simple, blue “scatter” sign. You get 10 free spins if you manage to land at least three of them on reels. During the free games, the interface changes (one more slot is added to the reels) and pay lines increase to 1.024. The jackpot of 2.950 times your stake can be won during this bonus round too. You can bet between 0.30 and 30.00 coins for each spin, and the maximum bet value is 150 coins. The game is an instant classic – if you like to play casino slots online, you must try it right now. (Play at Casino Avenue for the free slots no download version, totally free!) Terminator 2 is a medium variance slot with decent wins, almost all of our review runs ended with 20-30 times our stake. Developing movie-inspired slots is a hard thing, but it seems that Microgaming did the job perfectly.